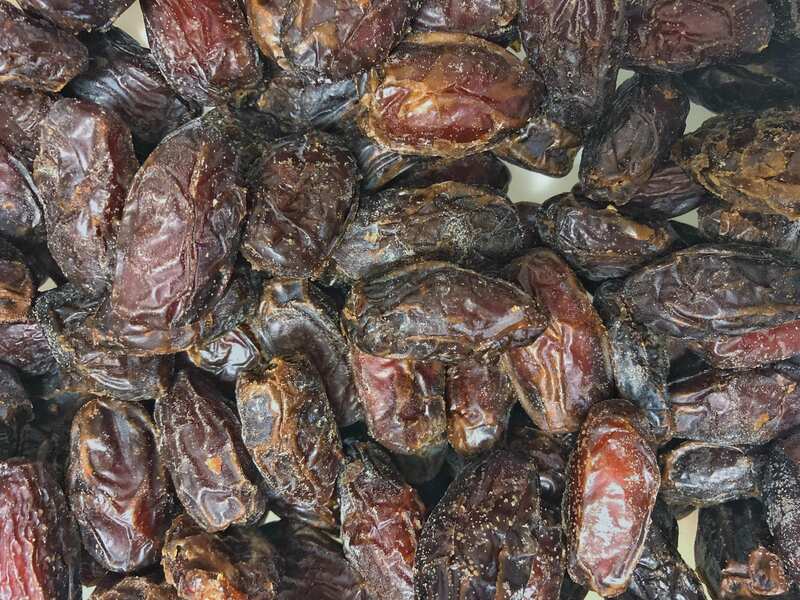 Organic Medjool DatesOrganic Medjool Dates Dates are believed to have originated in the Middle East and have been a valued food source for thousands of years. These ‘extra-fancy’ grade Medjool Dates are Organically grown in California, USA. Large and moist, they are a taste sensation. A tender skin encases soft, golden brown flesh that is sweet and succulent with a full fruity flavour. Organic Medjools are grown without synthetic pesticides or fertilisers, are non-GMO and have no added oil, sugar or preservatives. Medjools are wonderful when entertaining or as a quick snack. A pantry staple - dates are great for lunch boxes; in raw food recipes; baked goods; and sweet or savoury dishes. How to Use:These succulent Organic Medjool Dates are a wonderful quick snack on their own, in lunch boxes, on a cheese and fruit plate, or with dips and crusty bread. Pit and chop Medjools for a delicious addition to smoothies, muesli and porridge; or include them with seeds and nuts in a moreish trail mix when you’re on the go.In savoury recipes, dates can be used in sauces, pickles, chutney and stuffing; and add sweetness to rice, cous cous or quinoa, robust vegetarian dishes, poultry and meat. Popular in many sweet and savoury raw food recipes, Organic dates are scrumptious with nut butter or soft cheese, in wraps, fresh salads or chia desserts. 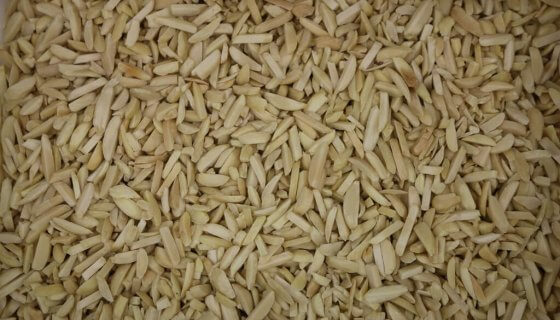 Their large size makes them perfect for stuffing, once the pit is removed.Not only are Medjools delicious; their soft, stickiness is a great binder for slices, energy balls and muesli bars. 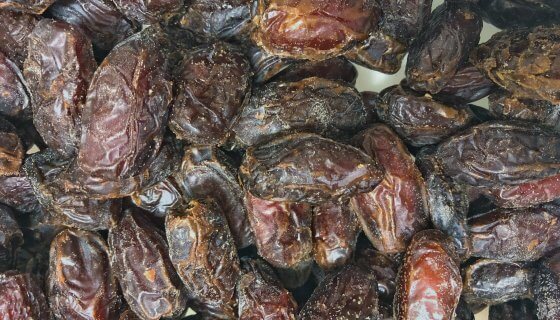 Dates are also yummy in home-baked fruit bread, scones, muffins, biscuits and cakes - and absolutely delightful in steamed puddings.Ingredients:Medjool Dates.Preservative Free, Non GMO, No Added Sugar. Paleo.Allergens:No Known Allergens. This product may contain traces of Allergens.Storage:Store in an air tight container in refrigerator.Shelf Life:Up to 18 months when stored as above. See Best Before date. SKU: 20702.